Does a CV include a cover letter? Having gone to the trouble of updating your CV and presenting it correctly, no wonder you’re asking why a covering letter is necessary. 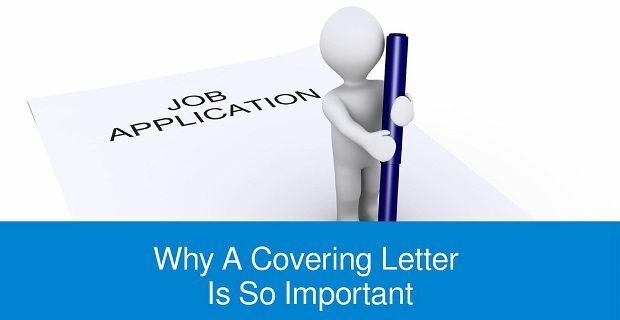 If you’re asking: does a CV include a covering letter, then the answer is “no” but the reason why you need a covering letter isn’t so obvious. If you’re only seeing things from the applicant’s point of view, then you won’t understand why a covering letter is necessary but when you’re on the other end of the exchange and you’re fielding dozens of CVs, you’ll understand that some way of filtering them is necessary. That’s where a covering letter comes in. A good covering letter shows the employer that you understand a little about their business and that you’ve taken the time to write to them personally. Without a covering letter all you’re doing is reprinting your generic CV and posting it. With a covering letter, you’re presenting your CV to a prospective employer. Your letter has to be short and to the point. Make sure that it’s no more than 2 paragraphs long. You should also take care not to repeat what’s in the CV so be specific about why you’re interested in working for them. That’s not the sort of information you’d put in the CV so there should be no repetition. Where did you see the advert? What drew you to apply for the position? These are things to consider and to mention in your letter. A recruiter will see loads of these letters so they’ll be able to spot grammatical errors very quickly. This sort of mistake will either make you look incapable of doing the job (particularly if you’re apply for a job that involves writing) or it may simply make you look sloppy.